While Washington, DC, may not be experiencing the full totality of Monday’s solar eclipse, politicians are enjoying this rare phenomenon and sharing their experiences on social media. 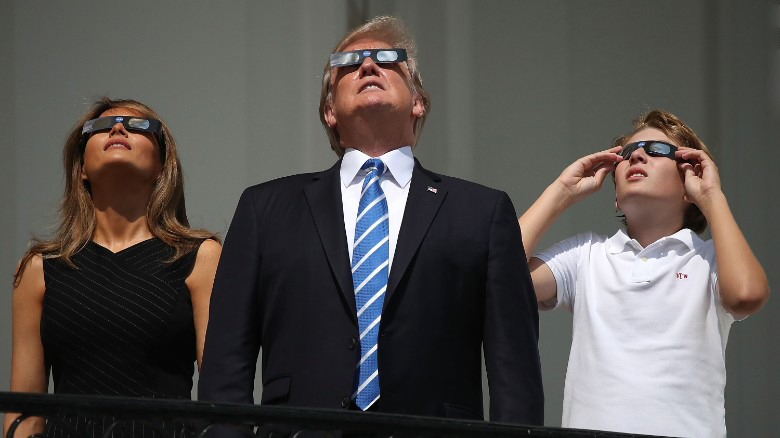 President Donald Trump was back in Washington after his working vacation, and even though he could not see full totality from the nation’s capital, he watched the partial eclipse from the Truman Balcony at the White House, joined by first lady Melania Trump and their son, Barron. All three sported eclipse-approved glasses for safe viewing of the sun.